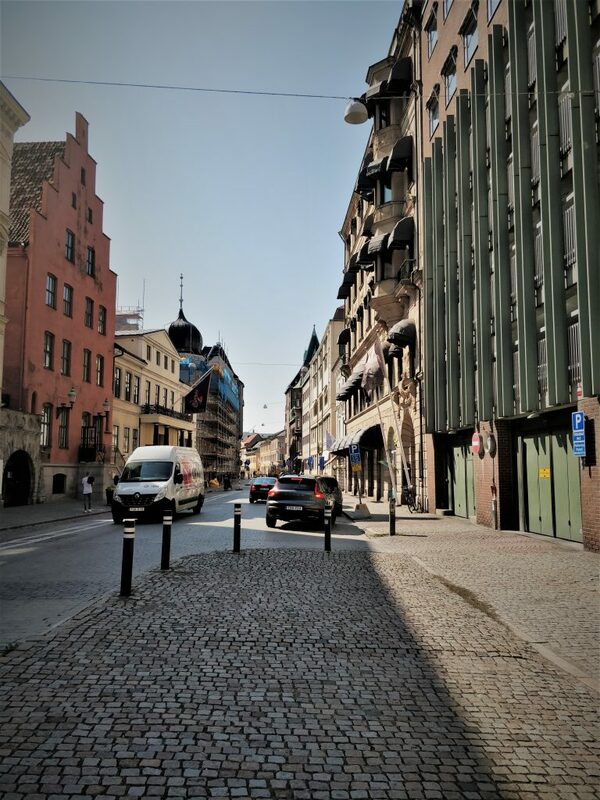 This summer I went to the third largest city in Sweden. It is also, the birthplace of Zlatan Ibrahimovic and the most bike-friendly city of Sweden. It’s Malmö! While on my way to Copenhagen from Stockholm I decided to stop there for a few hours. Consider this as a mini guidebook. 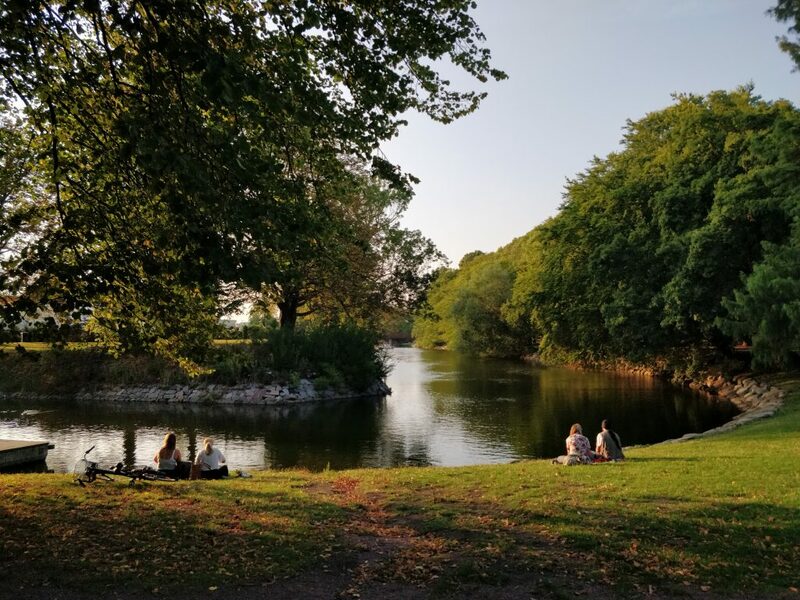 Here’s what you can do in Malmö if you only have a few hours to spare. Getting here is pretty straightforward. The city has its own airport, railway station and bus station. Since I was travelling from Stockholm, the best choice for me was to take one of the many SJ trains. There are various options and one is often spoilt for choice. 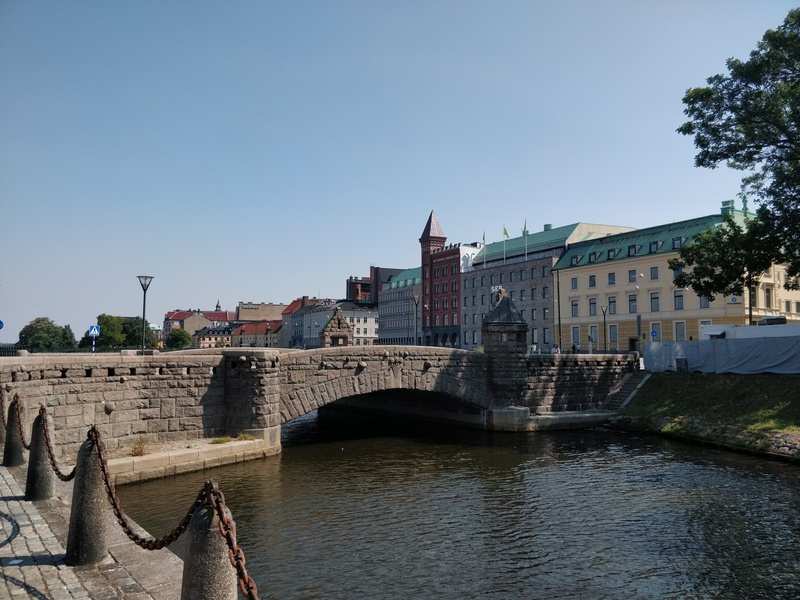 Since my whole journey would be long (approximately 4.5 hrs in total) I decided to depart early to arrive around noon in Malmö and enjoy a few hours there before continuing my journey. Once you arrive, you can drop your luggage at the train station in the lockers for a fee (which I did). More information can be found here. Once that was done, I headed to the tourist information center which is next to the huge green building in front of the station. I would recommend the bus tour of the city. It is a service which is new and it gives a beautiful overview of the city. It is an audio guided tour where the information system comes to life when the bus reaches an important place. The whole tour lasts for about an hour so I recommend doing this first because it covers the major tourist attractions (apart from Stortorget). During this time the information system also takes you back in time and tells you about the historic side of the city and how it was an important fishing industry hub. One more reason for the history buffs to join in. One can then decide where to go from there. Sorry for the tent, there was a fair that day. 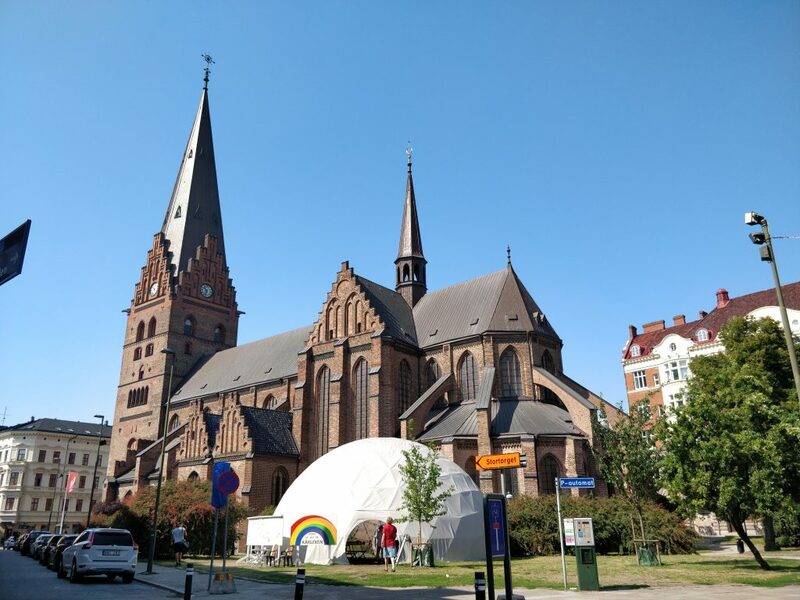 This has to be one of the most impressive churches/cathedral structures I have seen (the first place is a tie between Alexander Nevsky cathedral, Tallin and Frederik’s Church, Copenhagen). It just appeared out of nowhere and left a lasting impression on me. It was, however, undergoing restoration work and was closed. But I am certain it must be beautiful from inside as well. I know, you might be thinking that I have lost my mind by recommending a library when you just have a few hours in the city. But the library building is a real gem. 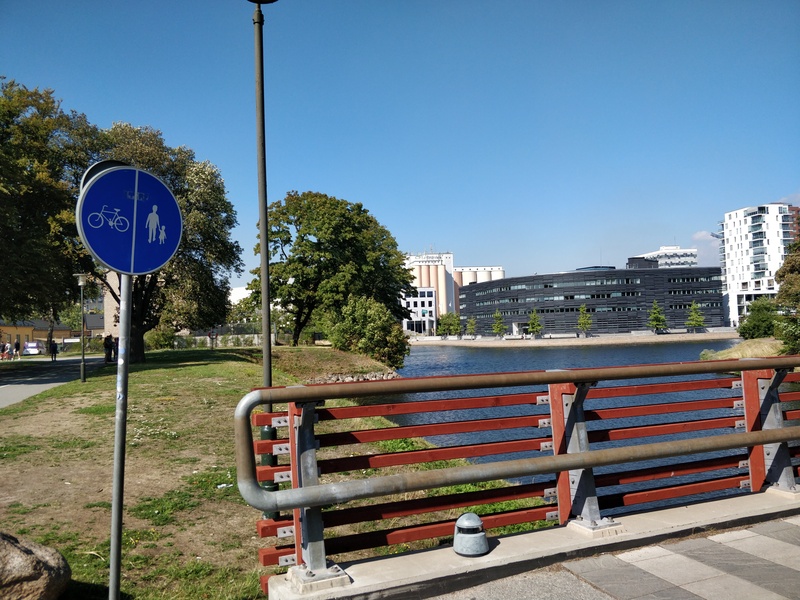 Thanks to its architecture, It looks like it is telling a tale of Malmö’s past and future at the same time. Along with that, you can sit inside with a book of any topic of your interest and have a great view of Kungsparken. Yes, it’s a park, but oh my, what a great one! I cannot tell why it felt so different from the parks in Stockholm or even Copenhagen. Probably because it was right in the city, had a lot of bridges and water surrounding it, with lots and lots of trees. No wonder people of Malmö love their parks! While I did not go to the square (Stortorget), I roamed around the old town of the city around Saint Petri-Kyrka. I loved it. While I found it similar to most of the architecture of Östermalm in Stockholm, it’s different and quite beautiful. Enjoy a coffee in one of the cafés there and plan your next move. I feel that this part should not be missed. Be sure to roam around the central station as well, the bridge connecting the station to the old town was very picturesque to me. After a few hours, I headed back to the central station and it shocked me how empty that area looked compared to the rest of the city. Perhaps everyone took a part of it in their hearts while departing. There are some things I didn’t visit (because of the Sun and extreme heat) but you should consider such as the turning torso (the tallest skyscraper in Scandinavia), Västra hamnen (the western harbor) and Malmohus Slott. Also, if you are a Zlatan Ibrahimović fan and wish to see where he used to play during his early days, you can go to Zlatan court. Become a member of SJ (SJ prio). It is free and you get points for each journey you make. These points can be redeemed on the next one. For food, the central station has a good food court however you can always explore the city and get to know more eateries. Along with Malmö, plan for a nearby place as well. 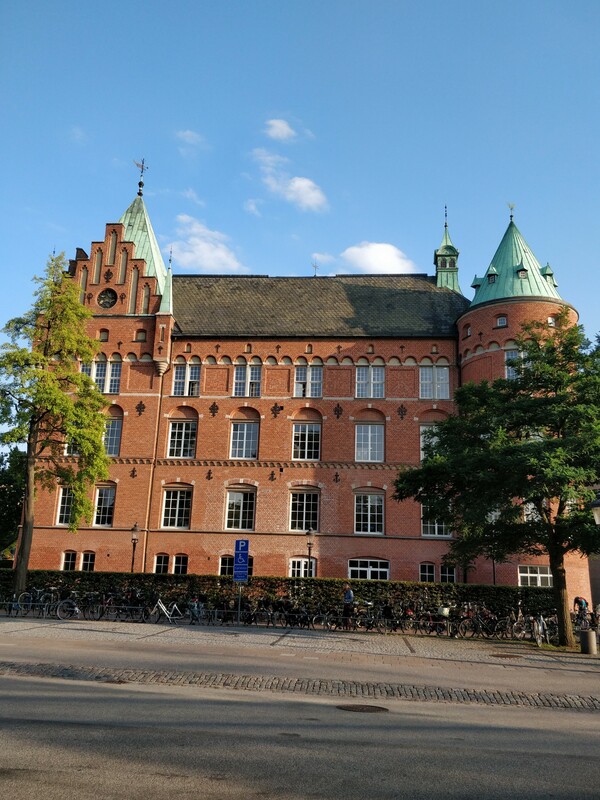 Lund and Copenhagen are very close. If you are planning to use the busses for visiting the various places mentioned above then probably download the Skǻnetrafiken app where you can see journey details and can buy the tickets as well. 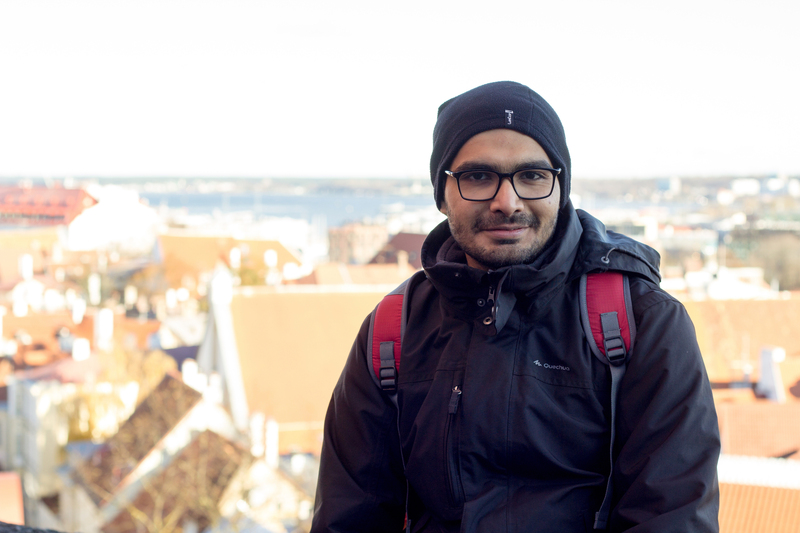 So, how motivated are you to plan a trip to Malmö­? Do you know of any cool place that I missed? Do let me know. Are Swedes really shy and reserved?